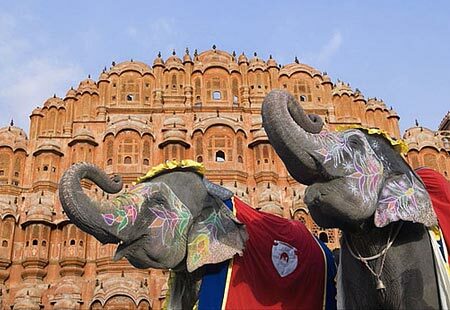 The beauty of the Pink City, Jaipur, attracts thousands of tourists throughout the year. Not only are there hundreds of captivating and beautiful areas in Jaipur, but touring the city also helps you to understand the customs and culture of Rajasthan. However, to explore the city in a true way, you’ve to become a local and do what they do. Mentioned here are some of the amazing ways you can explore the city of Jaipur. Check for flights and train details before travelling. These days you can also find an affordable Delhi or Gurgaon to Jaipur cab to reach the city. Riding on the back of a huge elephant can be a lifetime experience, but going on an elephant ride is a common thing in Jaipur. This ride is mostly famous in the route leading to the Amber Fort. A ride on this vast animal shows a sign of respect and pride and no doubt you will enjoy a royal feeling once you’re inside the hauda. So if you are in Jaipur even for a while, then you should not miss this experience. If you haven’t sat on an elephant’s back, this is a suitable spot for you. When it comes to showcasing Rajasthan on TV or movies, you might have seen men wearing traditional clothes and smoking hookahs. Well, you should definitely do this when on a tour of Jaipur. The tradition of Rajasthan is to cover your head with a pagdi, and there are different types of it available in the local markets. If you don’t know how to wear it, ask a local to give you a hand. 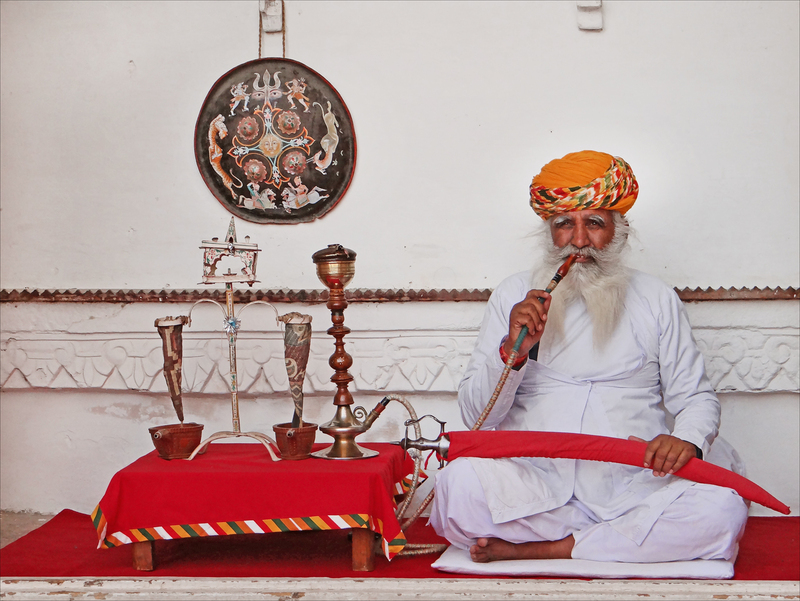 Hookah, which is basically a large form of a pipe smoke, is also famous in Rajasthan. During your stay in Jaipur enjoy wearing a pagdi and soaking in the essence of Hookah, and don’t forget to click your photograph. The Kalbelias are the local tribes of the state, basically showcasing a nomadic lifestyle. They move from one place to another, showcasing one of their best trait of dancing. Their dance performances are so intriguing, that it can easily captivate anyone’s senses. So, if you’ve been to any casual gathering or a group dinner in Jaipur and have seen the Kalbelias perform, just go with the flow and shake some leg with them. It is truly an amazing feeling, dancing with the locals and learning some new moves. Alternatively, Ghoomar is another famous dance form of the state, that you can try. This dance form is performed by women covering their faces under the veil. After enjoying a ride on the jumbo, why shouldn’t you enjoy a ride on the ship of the desert? Afterall Rajasthan is the only place in the country where you can find a camel in its natural habitat. Doesn’t an imagery of herds of camels in the desert revolve around your head when you think of Rajasthan? Well, then you should definitely fulfil your dream and go for a camel ride in the city. Trust us, it’d feel like being a part of the ‘Arabian Nights’. Sitting on a camel you can also explore some of the best places to visit around Jaipur. Do not miss these 4 things when you are in Jaipur. Plan your next trip soon and explore the colors of the Pink City! This article was written by our Guest Writer, Sandeep Malik.